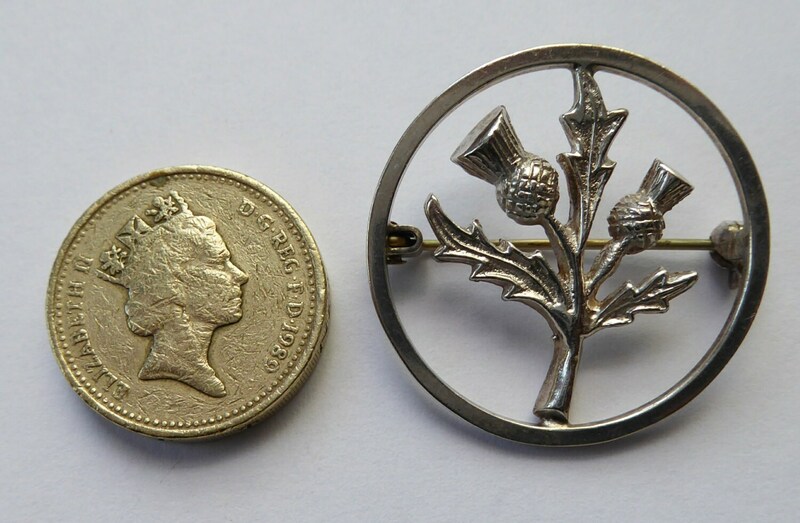 This is a sweet little lapel brooch which is hallmarked in Edinburgh with the date letter for 1976. 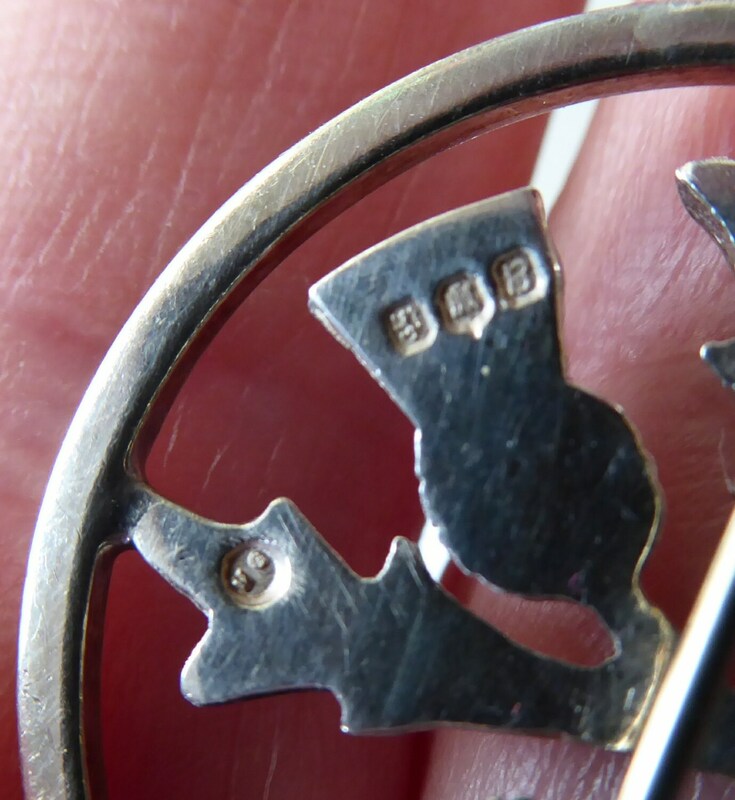 It is stamped on the reverse with the maker's initials MG - for Malcolm Gray. It was made for the celebrated Scottish jewellery company, Ortak. 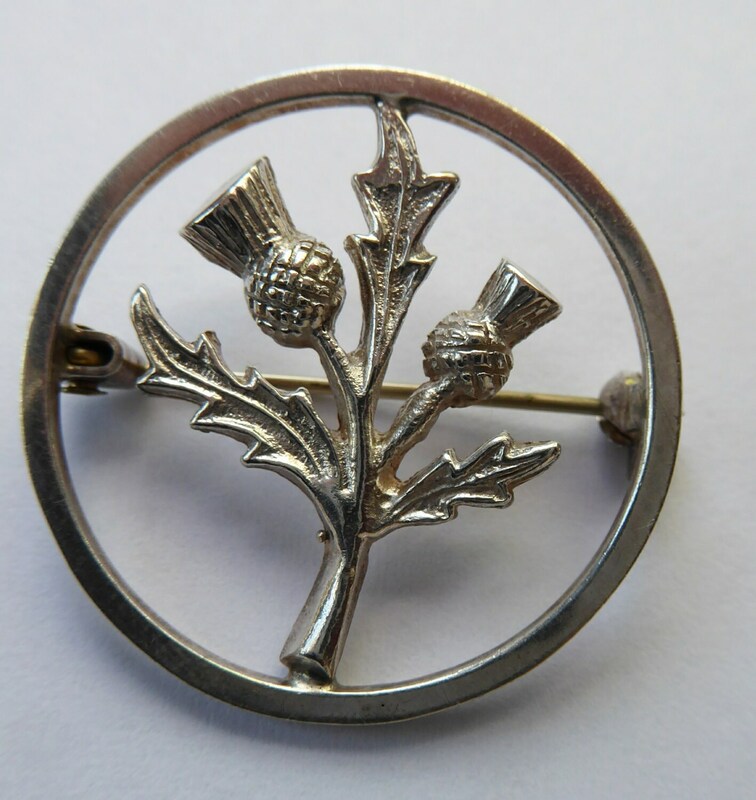 The brooch take the form of a circle with a little thistle in the center. 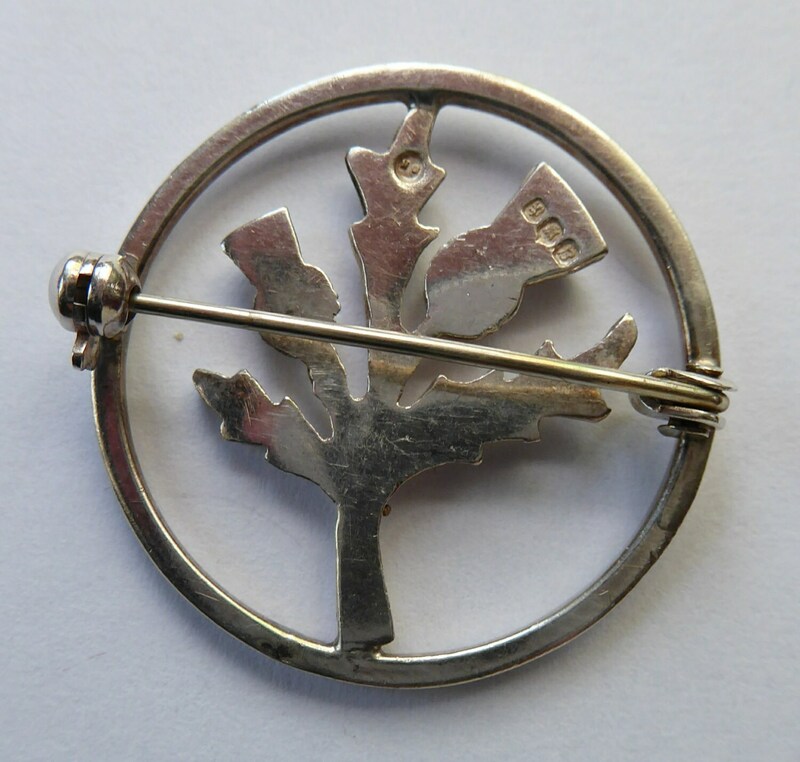 A nice subtle brooch - nice to wear on the lapel of a dark jacket or blazer. Dimensions: 3 cm in diameter. Postage quoted for UK Royal Mail tracked and signed for postage. Happy to post internationally, please ask for a postal quote outside of the UK.